A still from The Story of Percival Pilts. The 17th annual Animation Show of Shows kicks off its nationwide roadshow this week at our very own ArcLight Hollywood. Premiering September 24 and running through October 1, a program of 11 animated shorts will be available for public viewing—a rare opportunity for film fans since animated short films generally don’t receive theatrical distribution unless they precede the latest Disney or Pixar feature. But for nearly two decades, curator Ron Diamond has been culling the best cartooning work from around the world for showcasing. In that time, 29 of his picks have gone on to be nominated for the Academy Award for Best Animated Short Film with nine of them ultimately winning the accolade. “I am biased, of course,” he goes on. “These films are very much like my own children; I love them all. And I feel that the journey one goes through in watching this program is very satisfying and inspiring.” Here he gives us a sneak peek at what makes each film in this year’s lineup special. A whimsical story about living an impractical life based on a childhood promise. 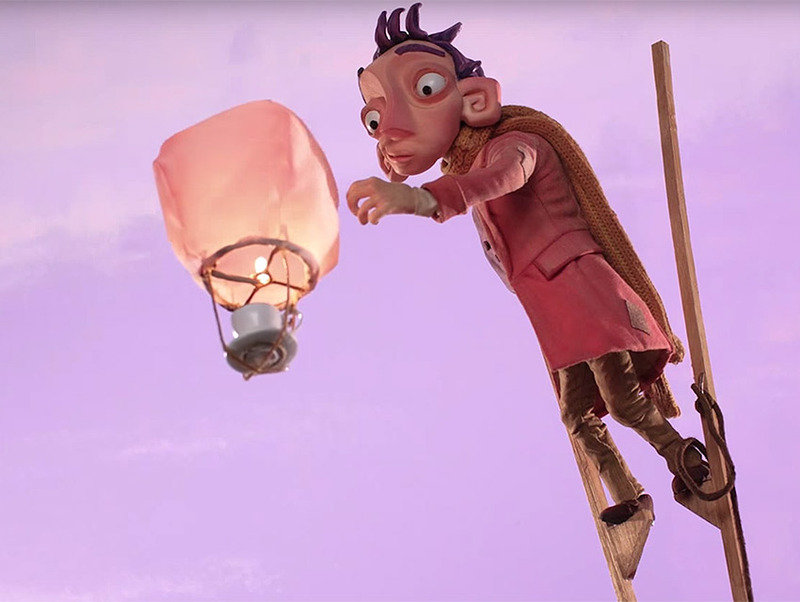 While playing on stilts as a child, Percival Pilts declares that he’ll ‘never again let his feet touch the ground!’ He stays true to his word and compelled ever higher, he builds his stilts so tall that he no longer fits into normal society. Based on the poetry of Jacques Prévert and originally part of the “En sortant de l’ecole” series, the “Tant de Forets” (So Many Forests) poem denounces the destruction of forests to make paper pulp, but paper is used to alert people about the threats of deforestation. An anxious young man who has a moving experience at a friend’s house party. A story of fleeting love, of mixed emotions, and of how we interact with each other. Animated clay paintings tell the true story of the last house on a sinking island in the Chesapeake Bay, a large and important estuary and waterway in Maryland, on the East Coast of the United States. In an Old-Time Music ballad, the house sings of its life and the creatures it has sheltered during its lifetime journey from tree, to timber, to home, to an ultimate return to nature. It contemplates time, environmental change, and the rise of the seas. An imaginative animated short created from a found voice memo, “Behind the Trees” features Amanda Palmer’s reflections on the curious things her husband, Neil Gaiman, mutters while he sleeps. Lifelong friends and fellow Russian cosmonauts work together to reach the ultimate goal of visiting space. A universe made completely of paper is the starting point of this love story, as past, present, and future events emerge from the folds in the paper. A young woman discovers a message of love enclosed in a folded paper bird. She then witnesses the tragic fate of her admirer’s goldfish. What can she do? This riveting love story is told through the medium of line drawings. At a massive factory, the workers have all been given one simple instruction: paint stripes on the boxes. The work is getting done in the usual, monotonous way…that is, until one of the workers decides to paint his boxes a little differently. In the early years of the 20th century, two climbers make the traditional ascent, carrying a statue of the Virgin Mary to the top of a mountain. Their trip does not go according to plan. Melissa Johnson hit 6’4’’ tall in 8th grade. Although this made her an instant basketball star, Love in the Time of March Madness follows her hilarious and awkward misadventures in romance, as she dates shorter men and gets cheered or jeered wherever she goes. Blazing with honesty and dark humor, this animated “tall short” is a true story about embracing difference that is certain to disarm and delight. Love in the Time of March Madness – TRAILER from KAPWA Studioworks on Vimeo.